Quirina selbst war 2018 Siegerstute auf der Elitestutenschau in Zweibrücken und hatte ein goldprämiertes Stutfohlen bei Fuß. Die durch ihre bis S erfolgreiche Mutter blutgeprägte Stute, besticht durch ihre schwungvolle Bewegung und ihre typvolle Ausstrahlung. 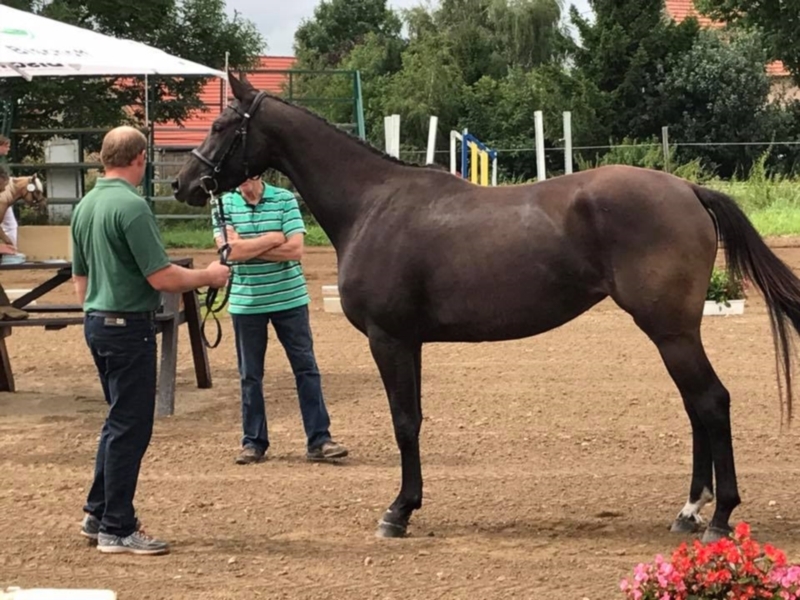 Quirina even 2018 was champion Mare on the elite Mare show in Zweibrücken, and had a Gold-winning filly at foot. That through their up S successful mother blood strong Mare, boasts sweeping movement and its type full radiance. MOM: With junior about 200 placements to S * half sister Goldina (Gold Star): already 8-jährig victorious up S *. Half-sister Levissina (from Levisonn): 6-jährig successfully up to jumping horses M and M jump. 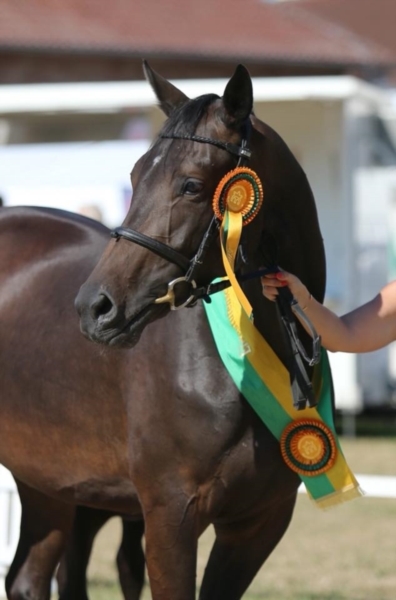 Same mother master Alex (by appearance): highly successful junior / young riders up S *. QUIRINA hasta 2018 fue campeón yegua en el programa de Mare elite en Zweibrücken y tenía una potranca ganadora del oro en el pie. Que a través de su madre acertada de S en la sangre fuerte yegua, cuenta con barrido de movimiento y su resplandor todo tipo. MAMÁ: por junior ubicaciones alrededor de 200 a S * media hermana Goldina (estrella de oro): ya 8 jährig victorioso s *. Media hermana Levissina (de Levisonn): 6-jährig con éxito hasta saltar caballos M y M salto. Mismo maestro Alex la madre (por apariencia): jinetes junior / joven exitosos s *. 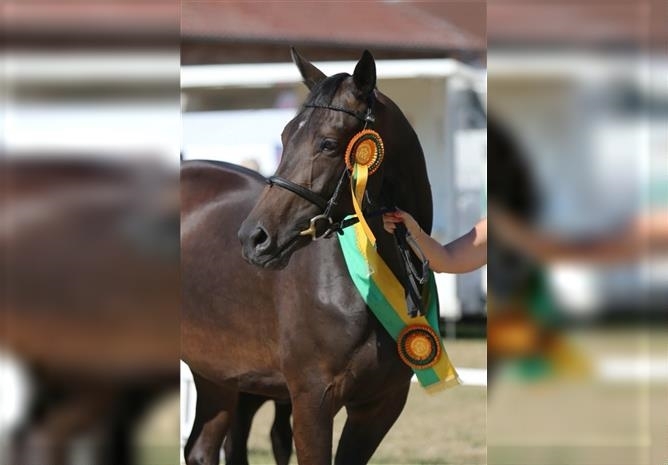 Quirina zelfs 2018 was kampioen Mare op de elite merrie show in Zweibrücken, en had een goud bekroonde merrieveulen op voet. Die door middel van hun up S succesvolle moeder bloed sterk Mare, biedt vegen beweging en haar volledige uitstraling van type. MOEDER: met junior ongeveer 200 plaatsingen tot S * halfzus Goldina (gouden ster): al 8-jährig overwinnaar van S *. Halfzus Levissina (van Levisonn): 6-jährig met succes tot springen paarden M en M springen. Dezelfde moeder meester Alex (door verschijning): zeer succesvolle junior / jonge renners van S *.